Mountain Hardwear Synthetic Vests Potrero Insulated Vest - Women's-Khaki-X-Small 1550841297XS. 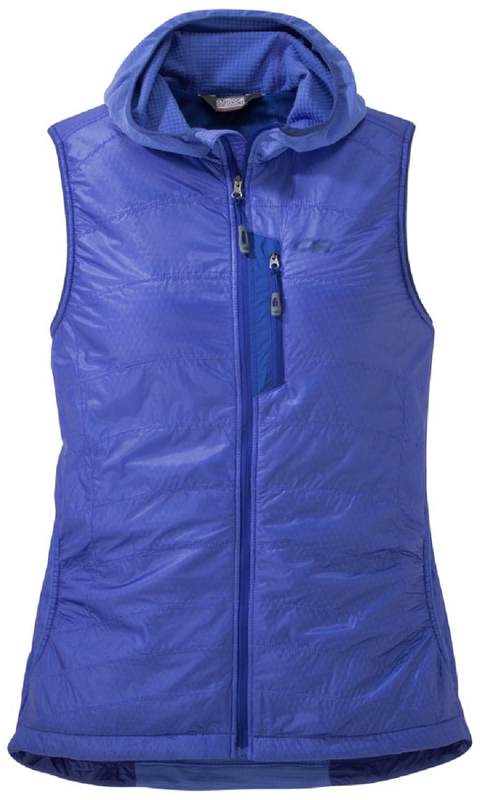 The Potrero Vest by Mountain Hardwear is a streetwise vest with undercover technology that automatically performs. It boasts AirShield technology to keep wind and water at bay and Thermal.Q 120g insulation to expel moisture and retain heat. 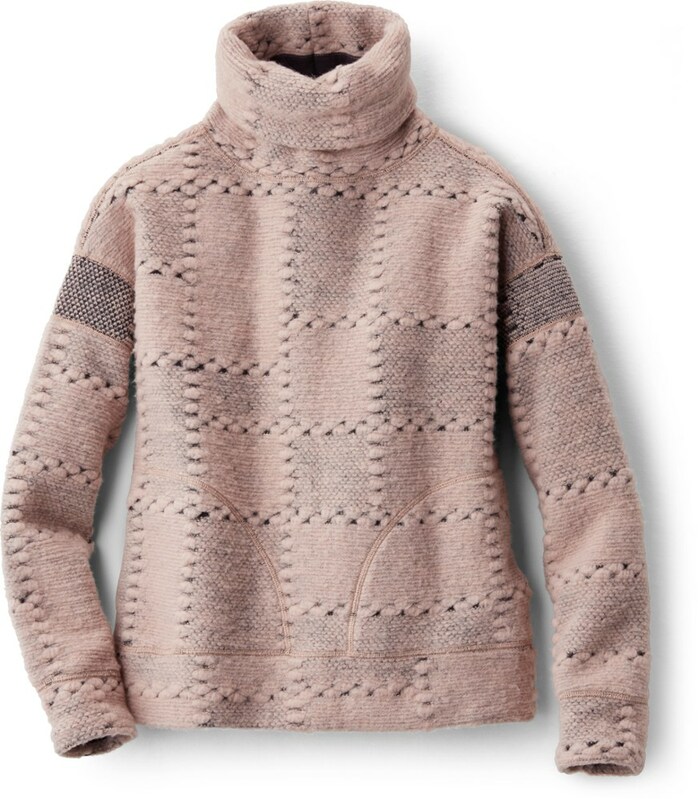 Two covered handwarmer pockets removable faux-fur hood lining. 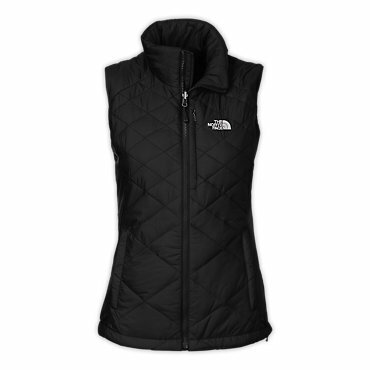 A streetwise vest loaded with thoughtful details, the Mountain Hardwear Potrero vest certainly isn't afraid of a cold front, or a woman who wants to look cute and stay warm in cold conditions. 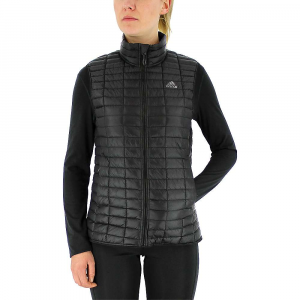 Mountain Hardwear Women's Potrero Insulated Vest - The Women's Potrero Insulated Vest by Mountain Hardwear is a streetwise vest with undercover technology that automatically performs. The Potrero boasts AirShield technology, a wind-and water-resistant fabric that cuts the cold to keep you warm, and Thermal.Q 100g insulation that mimics the structure of down to retain heat, creating the highest warmth to weight ratio available in synthetic insulation. Quilting detail at the side body adds a body shaping contour for a flattering look, while added seaming at the waist offers articulation and a feminine fit. 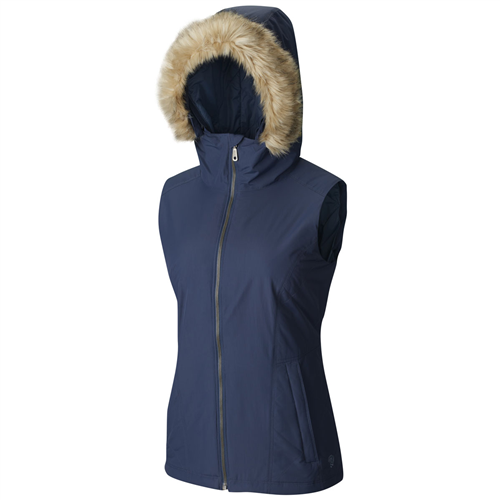 A removable, insulated hood with removable faux-fur trim is 2-way adjustable for a customized fit, and the two-way center-front Metaluxe VISLON zipper adds flair without compromising functionality. It also features dual zippered pockets to keep hands warm and valuables secure. The Mountain Hardwear Women's Potrero Insulated Vest isn't afraid of a cold front, and will keep you warm in cold conditions. 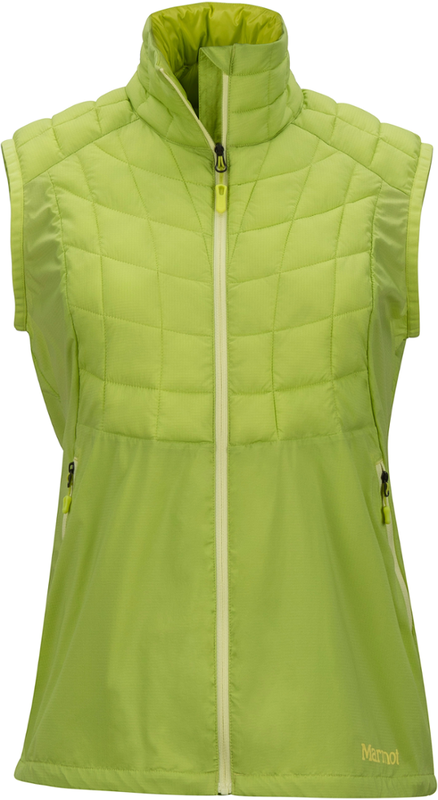 The Mountain Hardwear Potrero Insulated Vest is not available from the stores we monitor. It was last seen February 27, 2019	at SunnySports.